At last it is said that, bank is keeping vigorous roles to develop the economy, trade and commerce for obtaining its own radical development as a financial intermediary. Qualities / Considering factor of efficient judgement of modern or ideal bank are/ Considering factors for opening account. 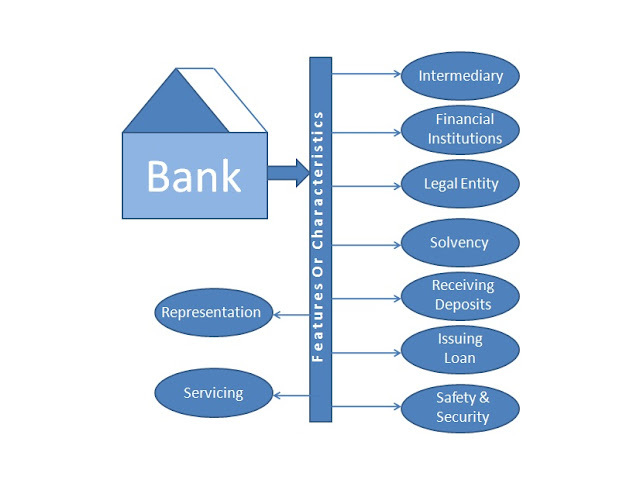 * Origin of bank may be established through company law or state which belongs to permanent existence. * Location of bank will be easy, developed, secured and according to clients choosing. * Huge numbers of client. * Relation with central bank. * Higher standard of services. higher rate of profit on deposit. * Engaged in foreign exchange. * Existence of foreign branches. * Assistance to the government. Excellent post! when I look through this blog, I am exceptionally glad to discover all destinations of satisfaction. Whatever we discover a web of music, diversions and such a wide range of webpage but our custom essay writers always share good info. It's dependably to great and incredible site for excitement. I am certainly looking this site via web-based networking media.